Would you like to enrol into any millinery classes? 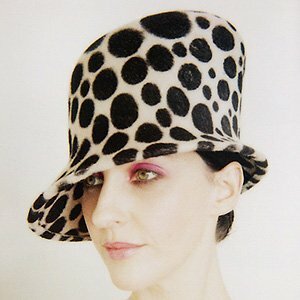 Since starting this millinery techniques web site I have received an enormous amount of email asking me where Millinery Classes are offered all over the world. I live in Adelaide, South Australia, and I admit that I have very little knowledge of any hat making classes happening outside of Australia. My goal is to create a list of world-wide millinery education venues and timetables for the readers of the web site. So I am asking for help in this regard. So, if you know of any courses being offered please fill out the form and I can advertise it for you, I will say, however, that I will take no responsibility on the quality of tuition offered because I simply won't know what is being offered. It will be up to you to research and take it from there. If you have done any courses anywhere that you would confidently recommend, then please let me know. Do you know of any Millinery classes any where in the World? 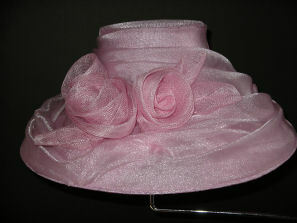 Hat making classes have been offered all over the world for many years. Back when both men and women didn't leave the house without wearing a hat, and this era was up until perhaps the 1950's, there was a mass of people learning the trade. In fact, a Hat Shop or Boutique, or at the very least, a departmental store with a Millinery Department with it's own millinery workroom would have been prominent in any larger town and several in any city. This meant that these workrooms employed several milliners with millinery appetites to design and manufacture model millinery, off the shelf hats, as well as those commissioned by the client to meet special requirements. Consequently, training programs which spanned over several years were part of the workshop structure, and beginners were not permitted to pursue the tasks of those with three or four years experience. In those years, hat making would have been part of the Home Economics learned by school girls, particularly in private colleges and schools. Tertiary Education (or night schools) were common for ladies wanting to create their own headwear and some of these students would have gone on to employment in the workrooms mentioned above. The 60's and 70's saw a demise in hat wearing. The question that I often ask myself is "Was it the hairstyle of that time, when the beehive styles took over from the hat, or was it the lower sleeker motor vehicle not permitting a comfortable ride while wearing a hat?" I think it was a combination of both, and by the time the 80's arrived we were so used to not wearing a hat, it became commonplace not to wear one. A sad situation for the Millinery Industry. Millinery Classes were few and far between during the decades of 1970/1980 and since then, as the hat has slowly become a fashion accessory again a few courses are being offered in larger regional areas and capital cities. Currently in Australia, Tafe (Technical and Further Education) Institutes offer a National Training Package designed especially for Haute Couture Millinery. Sadly, not all states of Australia offer the complete package. It seems to me that the powers-that-be feel that this industry doesn't warrant this training because it is not a big industry. My view is that we will never have a thriving industry without quality education. I envy those of you who live in the UK, or Europe. According to The Hat Magazine, (a magazine dedicated to the manufacture of hats, coming out of UK four times a year) there are numerous classes being offered in your countries. While I am prepared to give out the tuition or information I have accumulated over 20 years of working in the Industry, hands-on millinery classes are always of much more value, so, I see my web site as a helping hand to those of you who are attending Millinery Courses.Teachers, too, may find some of the information advantageous. and in reverse, anyone who has any particular millinery techniques they would like to share, I too, am hungry for knowledge, so please fill in the form below. I do not profess to know it all, but I am willing to share whatever knowledge I have and I hope that you are too.